$100 Minimum. Carpet Cleaning. Upholstery. Auto/Upholstery. Tile. Grout. Water Restoration. One coupon per customer. Coupons may not be combined with any other offer. With Valpak® coupon only. Coupon void if altered. Expires 05/06/2019. $150 Minimum. Carpet Cleaning. Upholstery. Auto/Upholstery. Tile. Grout. Water Restoration. One coupon per customer. Coupons may not be combined with any other offer. With Valpak® coupon only. Coupon void if altered. Expires 05/06/2019. $300 Minimum. Carpet Cleaning. Upholstery. Auto/Upholstery. Tile. Grout. Water Restoration. One coupon per customer. Coupons may not be combined with any other offer. With Valpak® coupon only. Coupon void if altered. Expires 05/06/2019. 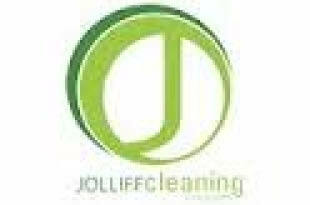 Jolliff Cleaning Solutions can take care of all your carpet, upholstery and grout needs! We also provide fire, water ,and disaster clean-up. Call or go online today to get a quote! BBB and Home Advisor Top Rated! Findlay OH, Tiffin OH, Carey OH, Fostoria OH, Upper Sandusky OH, Bowling Green OH, New Riegel OH, Melmore OH, Arcadia OH, McComb OH, Arlington OH, Sycamore OH, Ottawa OH, Bloomville OH, McCutchensville OH, Bascom OH and Nevada OH.